I first built my Media PC with a single tuner even though I knew I probably would want to add more later. 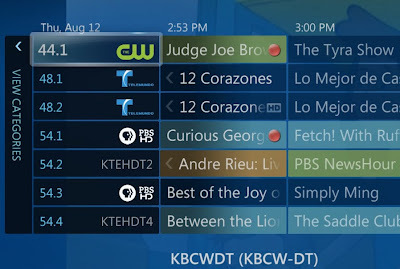 With my cable DVR I had grown accustomed to having two tuners, so it was hard going back to only one. Fortunately, with Windows Media Center, adding tuners is easy (and cheap). Why two tuners? Even though I rarely record two programs at once, it is nice to know you can. Even more likely is that I'll want to watch a program while another is recording. Of course, you can also record two programs and watch any pre-recorded content you like (or any web-content for that matter). You can even go crazy and add up to 4 digital tuners (that should be enough for most people!). So, what is the cheapest way to add more tuners? Turns out that a company called AverMedia makes a dual digital TV tuner for about $60! If this dual tuner won't work for you (see below), there are alternatives at about twice the price (still not bad). So, go ahead and supersize your Media PC with multiple tuners! Here is how I did it. The AverMedia Duet (Dual ATSC / ClearQAM) tuner card comes in three different packages (and prices). The cheapest is the "White box" version at just over $60. This is the one that ships without any software (just the drivers). This is perfect for those of us planning to using it in our Media PC with Windows Media Center. It also has only one cable input (so you won't need to add an antenna splitter). Unfortunately, there are no Linux/Mac drivers available. For non Windows Media PCs, I would suggest people try products by Dvico, Hauppauge, or Pinnacle. It is also a PCIe x1 card, so you'll need a free PCIe slot. Not much inside, just the card, a driver CD, and a low-rise card bracket. The latter is really appreciated as my MicroATX case can't take a full height PCI bracket. 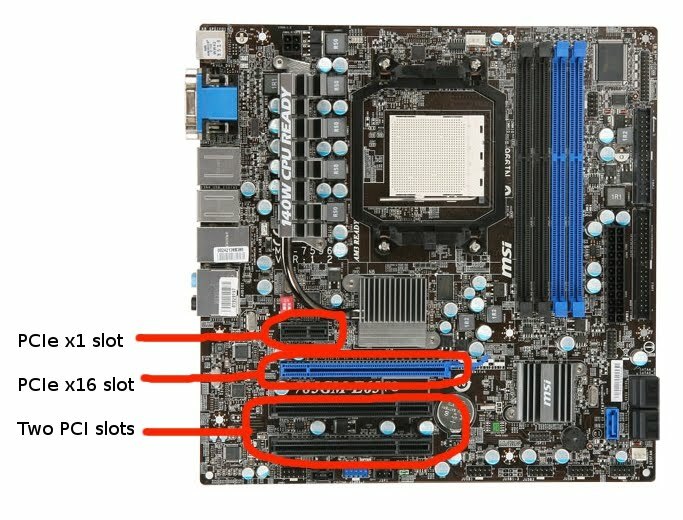 My motherboard (MSI 785gm-e65) has two PCIe slots. I had already used one (PCIe x1) for my wireless N card. 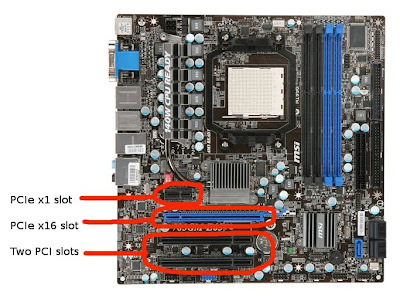 Normally, the PCIe x16 slot is for your graphics card. However, I am using the on-board graphics and there is no reason why you can't put a PCIe x1 card in a PCIe x16 (or so I've read). I moved my wireless card over to the PCIe x16 slot just to be sure and it worked just fine. This allowed me to put the AverMedia Duet into the PCIe x1 slot. If I want to add any more tuners, I'll ether need a PCI (not PCIe) card, a USB tuner, or go with an external tuner. However, I think two tuners is enough for now, so I'm good. Note: I did notice one strange problem when I put my wireless card in the PCIe x16 slot. Sometimes my Media PC would refuse to go to sleep. It would sleep, but immediately wake up. I figured it was the wireless card and went into the MSI's BIOS and disabled Wake on PCIe: (Power Management Setup->Wake Up Event Setup->PCIe Wakeup == Disabled). That cured my Media PC's insomnia. The drivers that came on my installation CD were the latest, so I just installed them prior to installing the card. Since I was curious about the performance of the tuners, I went through a full channel scan. I didn't detect any signal quality issues compared to my old tuner and was able to receive about 67 channels! I'll credit my excellent reception to my location and a good outdoor antenna. Since the software that I use to drive my recording LED is configurable, I thought I'd change the indicator when both tuners are recording. For me, my red LED is on for single tuner use, and flashes fast when both tuners are used. Silly, I know, but I think details matter! The first thing that I tried was watching one channel while recording another. 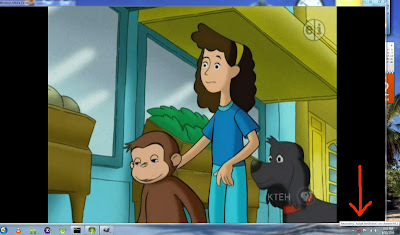 Above you see me watching "Curious George", while recoding "Judge Joe Brown" on another channel. Note the red arrow indicating that I'm recording another channel. I had the Media Center un-maximized just so that you could see the task bar. I like that little red notification icon, even if I never usually see it! I haven't had any problems with the card. However, early users of the card had issues with the card when coming out of standby (the device would disappear). If you search around in the forums you see that AverMedia has implemented a hardware fix. Since this issue was from about a year ago, I assume that the new stock of their cards won't have this problem. My card reports that it is version 188C, if that matters (I didn't see a date stamped on the card). For the price, I was willing to take the chance (and return it if there were problems). However, it works well. I do wish that I could switch between the two tuners when not recording. So far I haven't figured out how to do that in Windows Media Center. However, that isn't the card's fault. At at little over $60, the AverMedia Whitebox Dual tuner is a great deal for Windows 7 Media PC builders. It is a cheap way to add two tuners for digital TV (ATSC) or unscrambled cable TV (ClearQAM). I just bought a HomeRunHD dual tuner from Woot at about $80 shipped. Coax input, network output. Works well. The risk is that you must have a very reliable home network. And a fast home network to handle the HD. Thanks. I have recently performed the same upgrade, Iwas using a usb tuner and now I'm using the AVerTV Duo Hybrid PCI-E II. I got greedy and plugged my USB tuner back in to the PC so I could have 3 tuners. from that point on I lost all signal to my AverMedia card. I took the USB tuner out and restarted the PC and the signal was good again. Do you have any ideas as to why the tuners won't play nice together? Assuming both tuners worked independently before, it sounds like a driver issue. 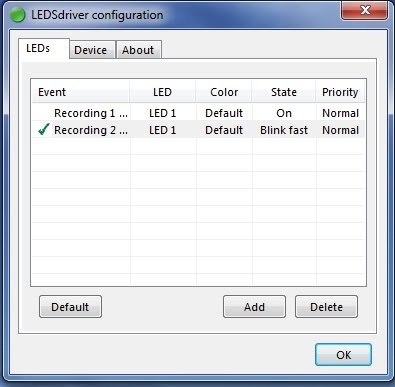 I know my USB tuner has different driver versions, you might try older/newer drivers to see if you can get them both to play nice together. I just pulled 4 Avermedia M779-E PCIe x1 cards from computers I deployed as HTPCs. Is there a way to install 3 of these cards in a mobo and have as a DVR? 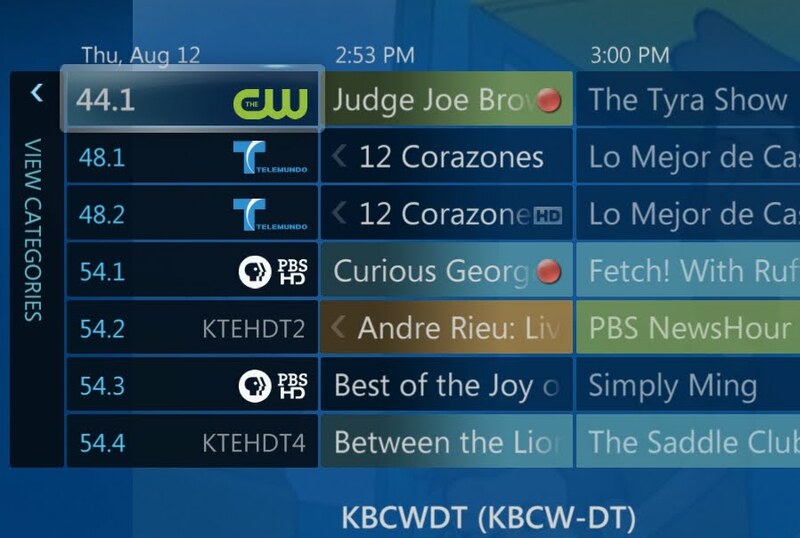 I am hoping to be able to centralize the DVB-T boxes and just have the HTPCs in the house pulling the feeds via IP.